با توجه به بحران خشکسالی در ایران و لزوم صرفه‌جویی در مصرف آب و شناخت عوامل تعیین‌کننده آن، در این پژوهش تلاش شد کارایی متغیرهای تئوری رفتار برنامه‌ریزی شده در پیش‌بینی رفتار دانشجویان برای صرفه‌جویی در مصرف آب مورد مطالعه قرار گیرد. 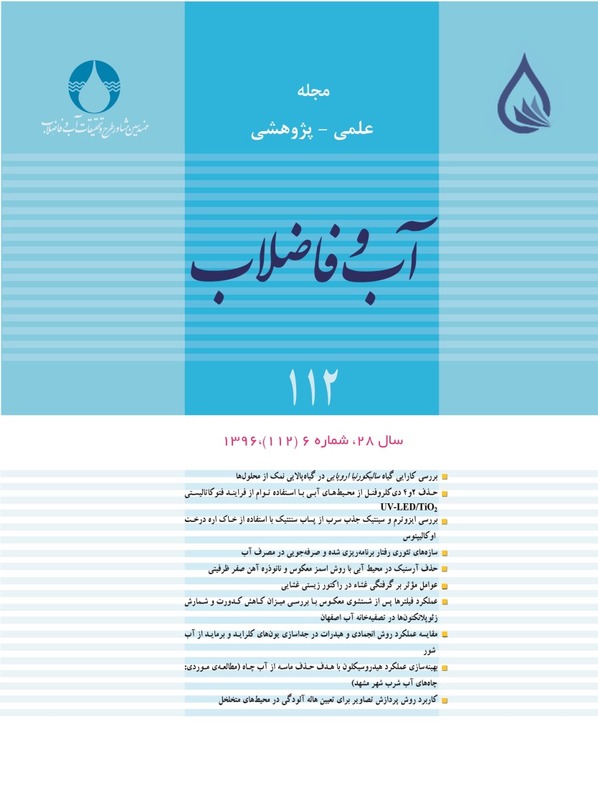 برای انجام پژوهش از روش پیمایش استفاده شد و طی آن پرسشنامه آن در میان 122 دانشجوی دختر ساکن در خوابگاه‌های دانشگاه یزد توزیع شد. در نهایت داده‌ها توسط روش‌های آماری SPSS تحلیل شدند. نتایج پژوهش نشان داد که متغیرهای قصد رفتاری و کنترل رفتاری درک شده، توانستند 44 درصد تغییرات رفتار دانشجویان برای صرفه‌جویی در مصرف آب را توضیح دهند. ضمناً دو سازه هنجارهای ذهنی و کنترل رفتاری درک شده توانستند 34 درصد تغییرات قصد دانشجویان برای صرفه‌جویی در مصرف آب را توضیح دهند. بنابراین آن دسته از دانشجویانی که قصد بیشتر برای انجام رفتار صرفه‌جویی در مصرف آب داشته و معتقد بودند که تسلط بهتری بر رفتار خود برای صرفه‌جویی دارند، در نهایت رفتار بهتری برای صرفه جویی در مصرف آب داشتند. Bartlett, J.E., KotrlikJoe, J.W. & Higgins, C.C., 2001, Organizational research: Determining appropriate sample size in survey research", Inf. Technol. Learn Perform., J., 19(1), 43-50. Corral-Verdugo, V., Bechtel, R.B. & Fraijo-Sing, B., 2003, "Environmental beliefs and water conservation: An empirical study", Journal of Environmental Psychology, 23(3), 247-257. Corral-Verdugo, V., Frias-Armenta, M., Perez-Urias, F., Orduna-Cabrera, V. & Espinoza-Gallego, N., 2005, "Residential water consumption, motivation for conserving water and the continuing tragedy of the commons", Environ. Manage., 30, 527-535. Cronbach, L., 1951, "Coefficient alpha and the internal structure of tests", Psychometrika, 16, 297-334. Fielding, K.S., Russell, S., Spinks, A. & Mankad, A., 2012, "Determinants of household water conservation: The role of demographic, infrastructure, behavior, and psychosocial variables", Water Resource Research, 48, 1-12. Gilg, A. & Barr, S. 2006, "Behavioural attitudes towards water saving evidence from a study of environmental actions", Ecol. Econ., 57(3), 400-414. Jackson, C., 1997, "Behavioral science theory and principles for practice in health education", Health Education Research, 12(2), 143-150. Keramitsoglou, K.M. & Tsagarakis, K.P., 2011, "Raising effective awareness for domestic water saving: Evidence from an environmental educational programme in Greece", Water Policy, 13, 828-844. Keshavarzi, A.R., Sharifzadeh, M., Kamgar Haghighi, A.A., Amin, S., Keshtkar, Sh. & Bamdad, A., 2006, "Rural domestic water consumption behavior: A case study in Ramjerd area, Fars Province, I.R. Iran", Water Research, 40, 1173-1178. Lam, S.P., 2006, "Predicting intention to save water: Theory of planned behavior, response efficacy, vulnerability, and perceived efficiency of alternative solutions", Journal of Appl. Soc. Psychol., 36 (11), 2803-2824. Lawshe, C.H., 1975, "A quantitative approach to content validity", Pers. Psychol., 28, 563-575. Marandu, E.E., Moeti, N. & Joseph, H., 2010, "Predicting residential water conservation using the theory of reasoned action", Journal of Communication, 1(2), 87-100. Marandu, E.E., Moeti1, N. & Joseph, H., 2010, "Predicting residential water conservation using the theory of reasoned action", Journal of Communication, 1(2), 87-100. Polit, D.F. & Beck, C.T., 2004, Nursing research: Principles and methods, 46 nd Ed., Lippincott, Philadelphia. Sharma, M. & Romas, J.A., 2007, Theoretical foundations of health education and health promotion, 2 nd Ed., Jones and Bartlett Pub., Boston. Trumbo, C.W. & O'Keefe, G.J., 2001, "Intention to conserve water: Environmental values, planned behavior, and information effects. A comparison of three communities sharing a watershed", Soc. Natur. Resour., 14(10), 889-899. Willis, R.M., Stewart, R.A., Panuwatwanich, K., Williams, P.R. & Hollingsworth, A.L., 2011, "Quantifying the influence of environmental and water conservation attitudes on household end use water consumption", Journal of Environmental Management, 92(8), 1996-2009. Yazdanpanah, M., Hayati, D., Hochrainer-Stigler, S. & Zamani, G.H., 2014, "Understanding farmers’ intention and behavior regarding water conservation in the Middle-East and North Africa: A case study in Iran", Journal of Environmental Management, 135, 63-72. Yazdanpanah, M., Rahimi Feyzabad, F., Forouzani, M., Mohammadzadeh, S. & Burton, R., 2015, "Predicting farmers’ water conservation goals and behavior in Iran: A test of social cognitive theory", Land Use Policy, 47, 401-407.